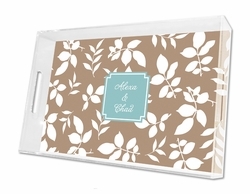 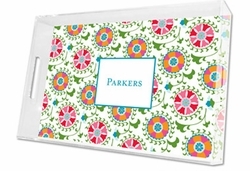 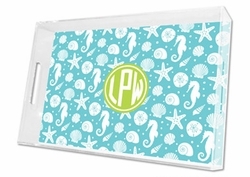 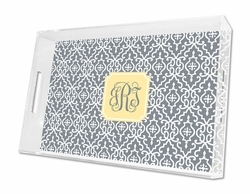 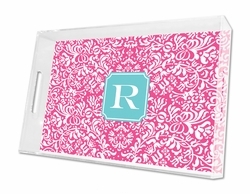 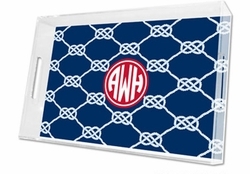 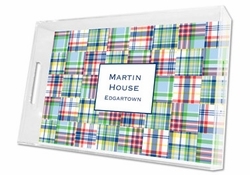 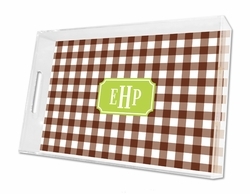 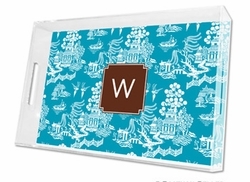 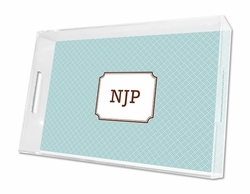 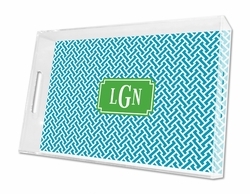 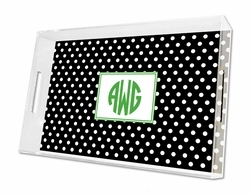 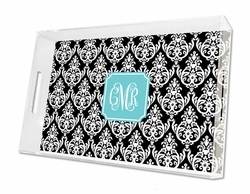 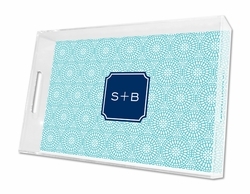 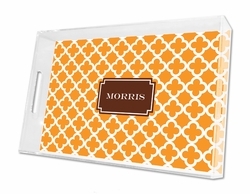 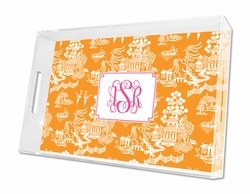 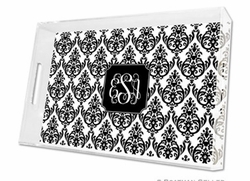 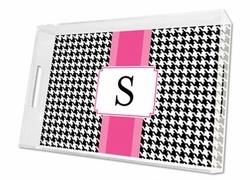 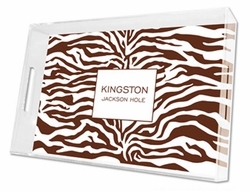 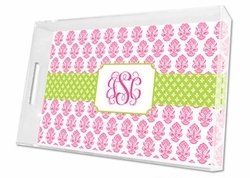 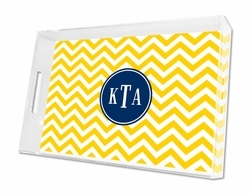 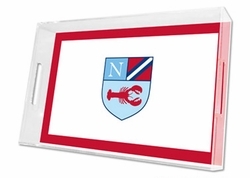 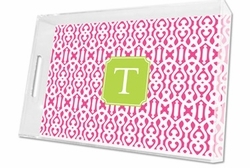 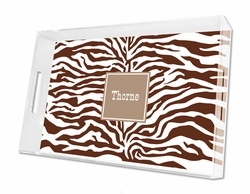 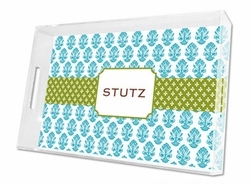 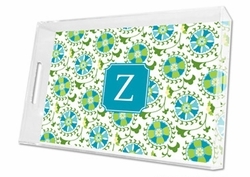 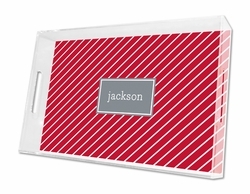 "Live your style" with this wonderful collection of personalized lucite serveware. 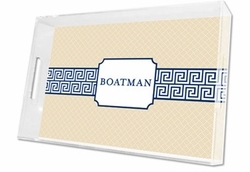 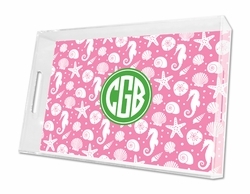 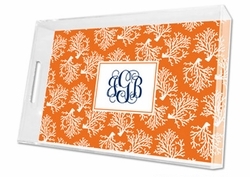 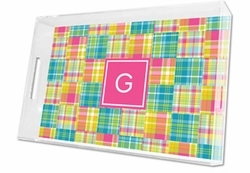 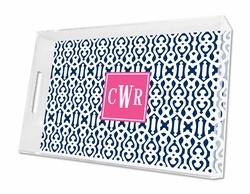 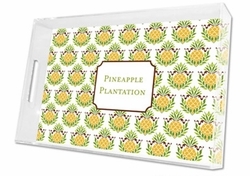 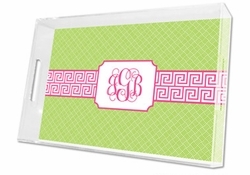 From brunches to BBQs, these beautiful trays add personality to any party. 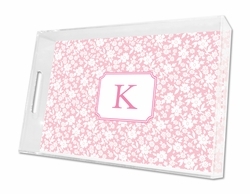 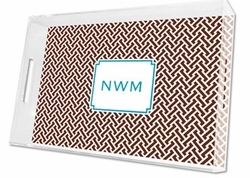 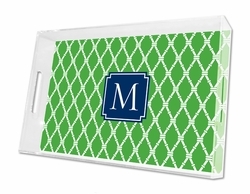 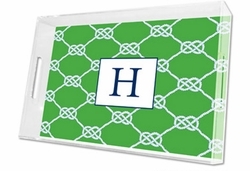 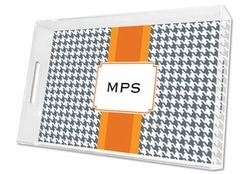 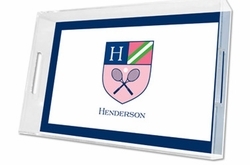 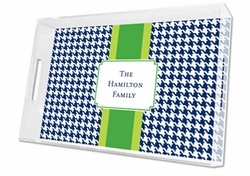 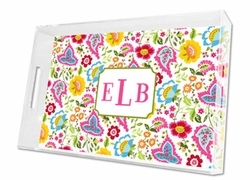 Your initial, monogram or name adds the final touch. 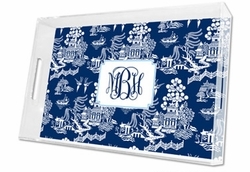 Perfect for entertaining, they offer a style and panache to your exceptional coastal home. 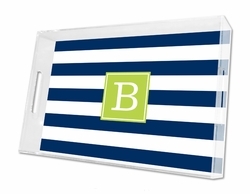 Available in three sizes, Large, Small and Square. 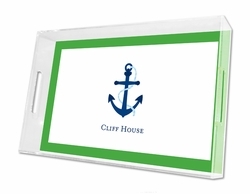 Includes two paper inserts.